An effective treatment for common skin and foot warts, Duofilm contains the active ingredients salicylic acid and lactic acid which work together to break down a protein called keratin that forms part of the skin's structure. Over time the affected skin cells will shed revealing healthy skin below. 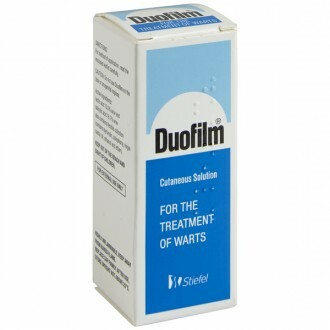 An effective wart and verucca treatment, Duofilm contains salicylic acid and lactic acid, active ingredients that work together to break down keratin, a protein that forms part of the wart's structure. The lactic acid increases absorption of the salicylic acid by breaking down the skin’s surface. Over time, the affected skin cells will be shed, which can take up to three months. If the treatment successful, the new skin that grows will be healthy. The length of treatment varies depending on the wart's size and how long you've had it. Apply Duofilm paint directly to the wart once a day, preferably at bedtime, using the included brush. Before applying Duofilm, remove any plasters and soak the wart in warm water for five minutes. Then dry the area with your own towel (sharing towels can spread the virus to other people). 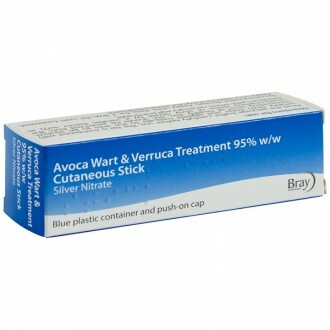 After soaking and drying the wart, gently rub it with a pumice stone, emery board or nail file. Paint on enough Duofilm to cover the wart. Avoid getting the paint on healthy skin as this can result in blistering and peeling. Allow the Duofilm dry, then cover the wart with a plaster. Keep it covered until the next day when you repeat the treatment. Stop treatment when the wart is gone and you see the ridgelines of healthy skin. You may not see an improvement in the wart for one to two weeks and it may take up to 12 weeks until it disappears completely. It is important to stick with the treatment every night. If you still see the wart after 12 weeks of treatment, consult your pharmacist or doctor for advice. People with diabetes, poor blood circulation such as peripheral vascular disease, or nerve damage to the hands or feet should only use Duofilm under a doctor's supervision. Warts that are larger than 5cm2 may require a different treatment. Seek advice from you doctor or pharmacist if this is the case. Apply once daily, using the brush in the pack. It may take 6 to 12 weeks to completely remove your wart. Keep using Duofilm until the wart has completely gone. When it has gone you will be able to see the lines of your skin again. Soak the warts in hot water for five minutes. Dry the area with your own towel. Rub the top of the warts carefully with a pumice stone or emery board. Then put on enough Duofilm to cover the warts. Try not to get it on the normal skin around the warts. Cover the wart with a plaster if it is large or on your foot. Do not use Duofilm on children under 12 years without medical supervision. Salicylic acid BP 16.7% w/w & Lactic acid BP 16.7% w/w. Colophony, flexible collodion, pyroxylin, colophony, virgin castor oil, ethanol and ether. Avoid applying to normal skin. 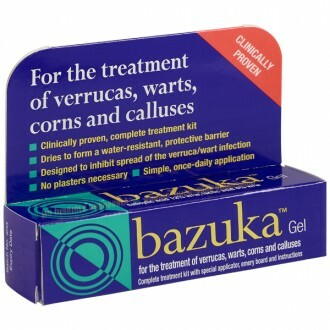 Need to know more about Warts & Verrucas?